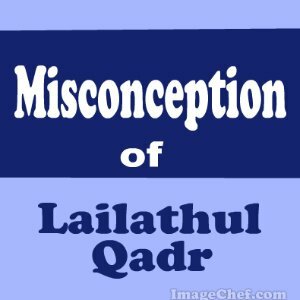 You Read Creation: "MISCONCEPTION OF "LAILATHUL QADR"
There is wrong belief by some of the people who believe scholars word. What Qur'an says of "Lailathul Qadr"
And what will make you know what the Night of Al- Qadr is? Lailathul Qadr in the odd nights of the last ten days of Ramadan." rule, and fool people believe them. innovaction, and all innovaction leds to Hell.